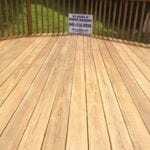 Does Your Wooden Deck No Longer Resemble Wood? Does it have algae and mold on it? Is the current stain fading away? Does it's appearance look cracked and ashy? If so, then it is time to bring it back to life! 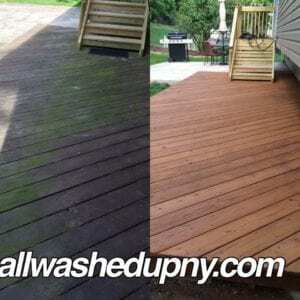 All Washed Up Power Washing and Exterior Cleaning specializes in wooden deck cleaning and staining. 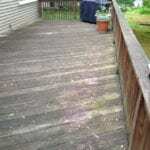 We enjoy transforming a faded wood deck into a thing of beauty for you and your family to enjoy all summer long. 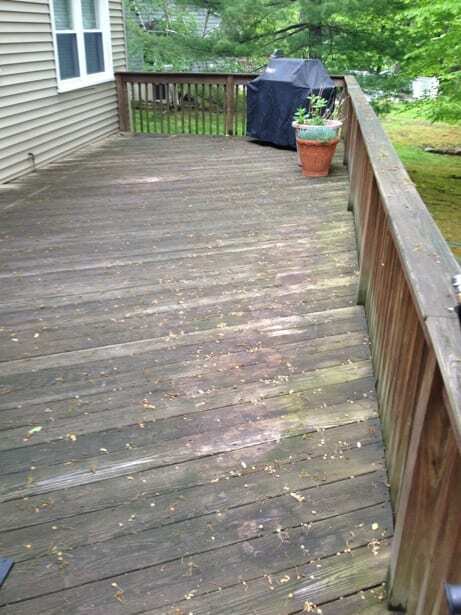 We begin our process by washing your deck with as little pressure as possible. 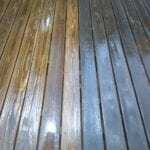 Then we apply a wood neutralizer and brightener to bring its P.H. balance back. 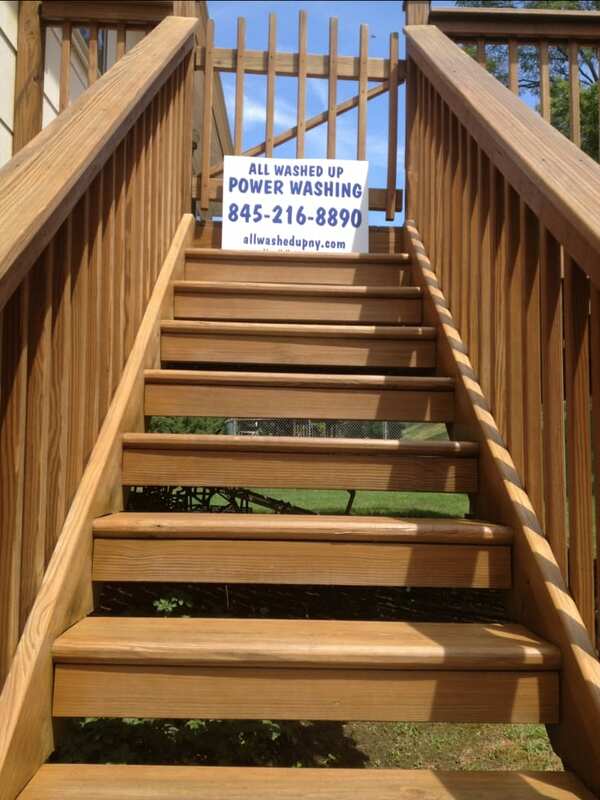 After letting the wood dry and before staining we sand down all handrails and whatever rough spots there may be. 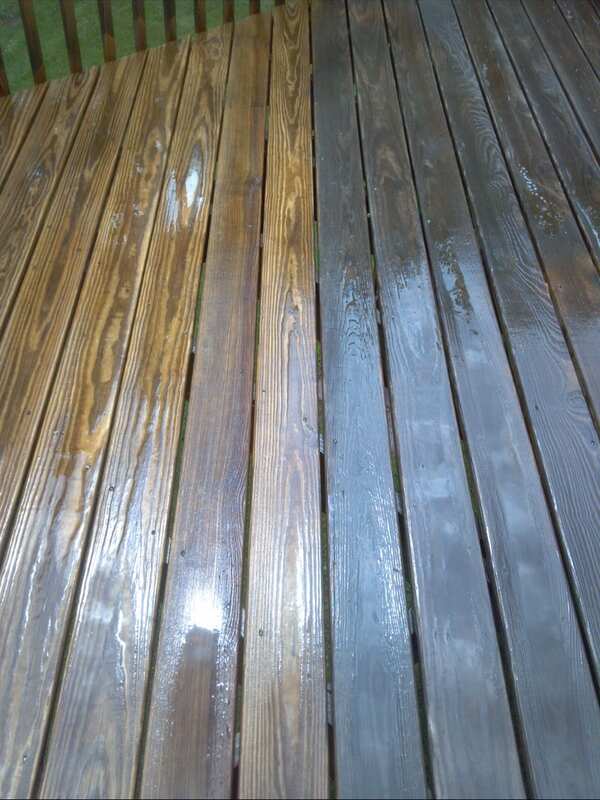 Power washing a deck requires the right amount of pressure, too much can splinter the wood and too little will not get it clean. 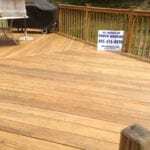 Using contractor grade equipment and the proper wood cleaners, we are able to get the job done correctly and safely. 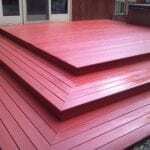 Below are samples of the most popular colors we use. Bakers Gray away is a contractor grade stain that I stand behind. Other colors are available if you should prefer another color. 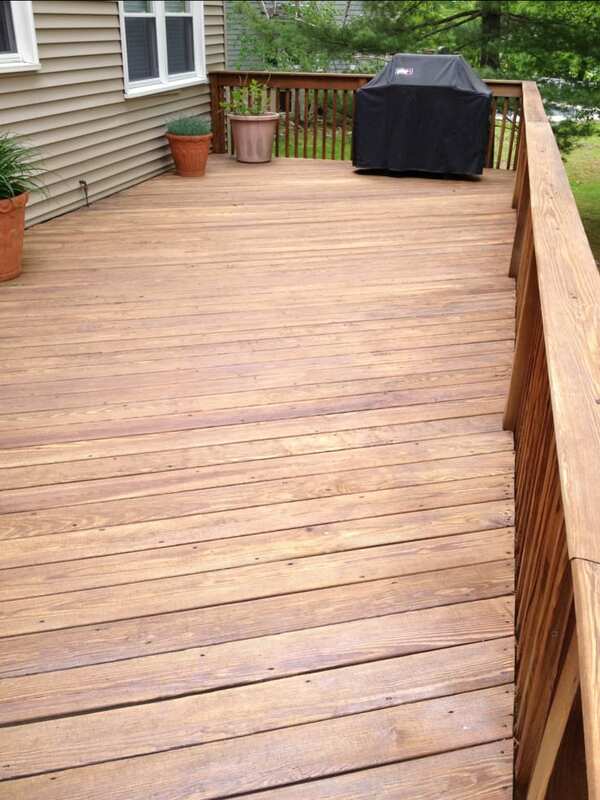 All staining is done by hand. 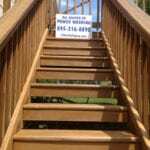 We also repair and replace floor boards, handrails and any other part of the deck (excluding anything that affects its foundation). 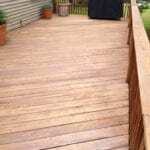 Pricing on wood deck work depends on its size and the type of work you want done. It typically starts at $495. We welcome any questions or concerns you may have. 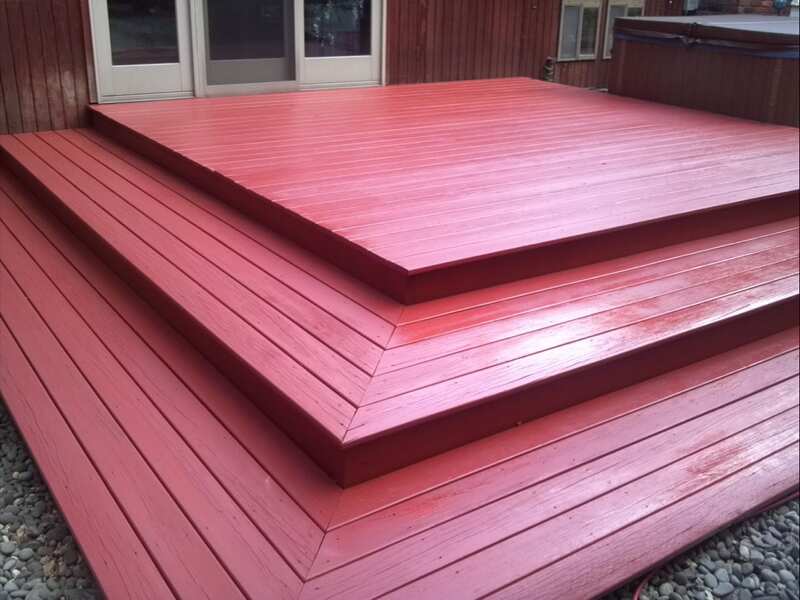 Your deck is the star of your backyard. So, it's important to keep it up if you want it to look its best. 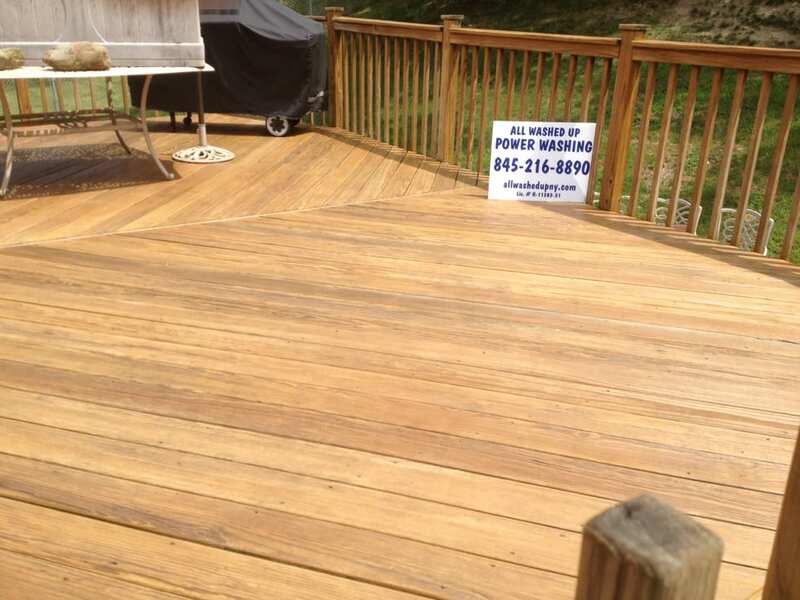 You can achieve the decadence your deck deserves by taking advantage of deck and wood restoration service from All Washed Up. 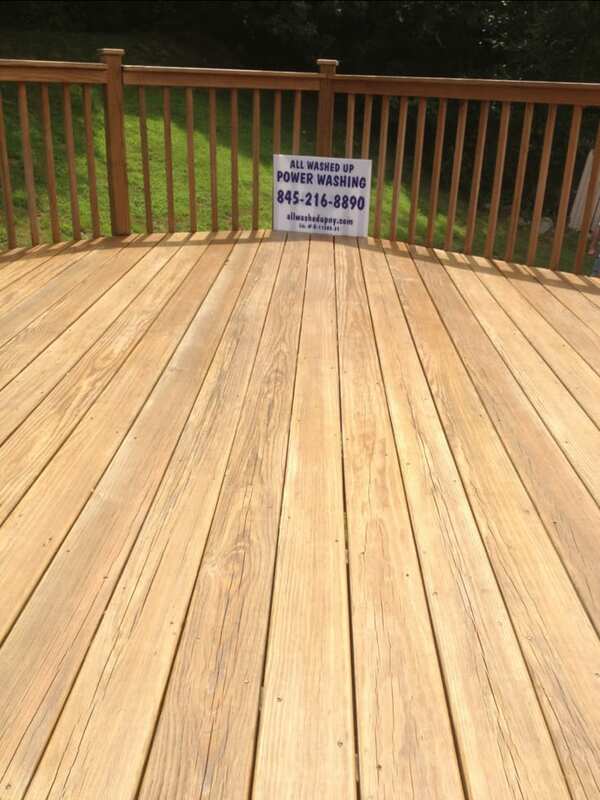 Our family owned and operated business gets it: you want your deck to look as good as new, especially for your guest or potential homebuyers. 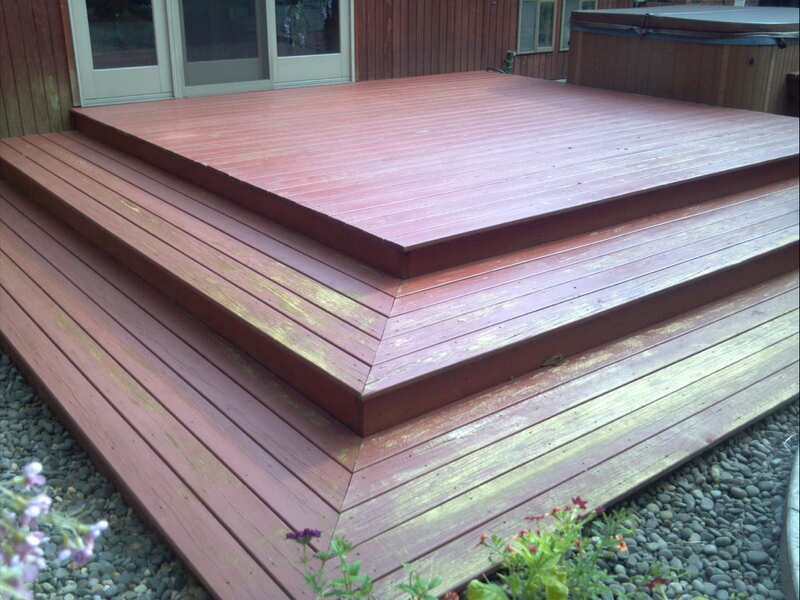 That's why we make it a priority to use a variety of finishes and techniques to safely achieve the look you desire for your deck. We know that sometimes the service you get isn't always what you expect. 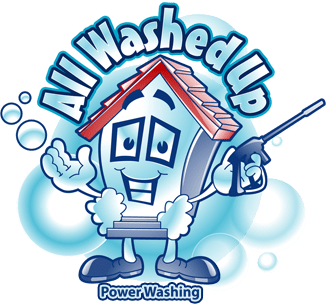 That's why we offer a customer satisfaction guarantee on all our services. 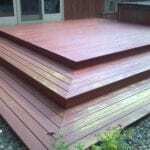 And if you're not completely satisfied, we do our best to get your deck and wood to the level of prestige you expect it to be. That's why we stand by our customer satisfaction guarantee. 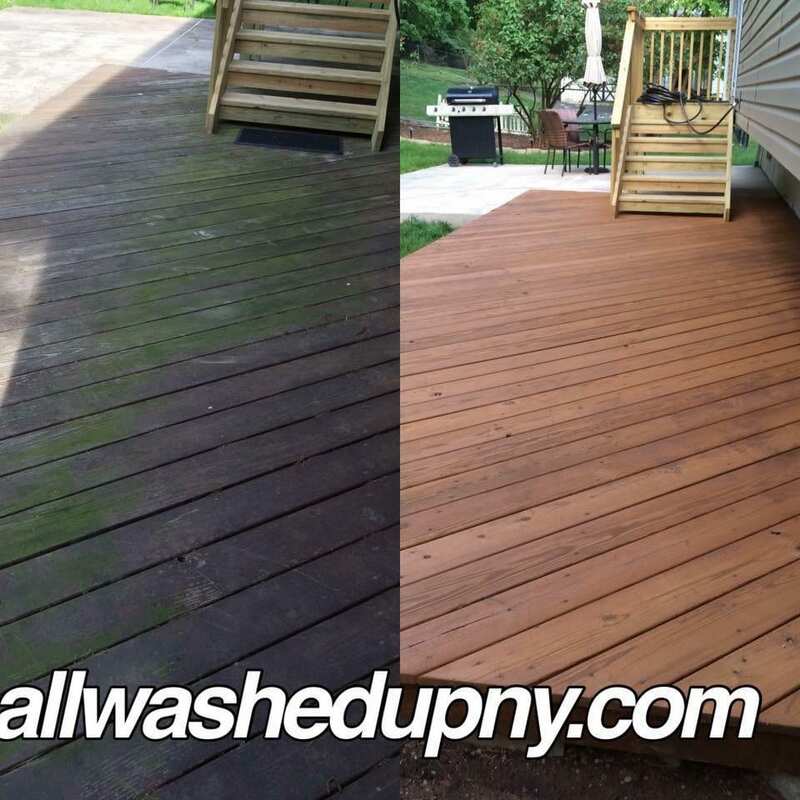 Contact All Washed Up Power Washing & Exterior Cleaning for a free deck and restoration estimate today!